Thanks to those who attended FAMNM Forums both in person and virtually! We hope to see you again next year. If you attended (in person or virtually), please leave us feedback at the link below! If you missed this year's forums, you can find recordings of each session linked in the schedule. 10:00 AM Pre Presentation Panel FAMNM and Friends We are here to talk about FAMNM, our scholarship, and answer your questions! 10:30 AM Using PIDs to Create an Effective Visionless Autonomous Jessica Kline An explanation of how PIDs function, how to tune them, and how to use them in the code. Specific focus is put on using a PID in conjunction with Motion Magic for driving during auton. 11:00 AM How To: West Coast Drive Solomon Shurge Everything you need to know to get started with the West Coast Drive system. 1:00 PM FIRST® Badges and Your Team Ron Weber An introduction to what FIRST® Badges are and how you can use them in your team, particularly in team training. 2:00 PM Autonomous Driving with Ultrasonics Michael Lindskov The presentation will take the audience through a code walk of state table, ramp functions used with ultrasonics, and demonstration of a robot driving through an obstacle course using ultrasonics. We are here to talk about FAMNM, our scholarship, and answer your questions! An explanation of how PIDs function, how to tune them, and how to use them in the code. Specific focus is put on using a PID in conjunction with Motion Magic for driving during auton. Everything you need to know to get started with the West Coast Drive system. An introduction to what FIRST® Badges are and how you can use them in your team, particularly in team training. The presentation will take the audience through a code walk of state table, ramp functions used with ultrasonics, and demonstration of a robot driving through an obstacle course using ultrasonics. 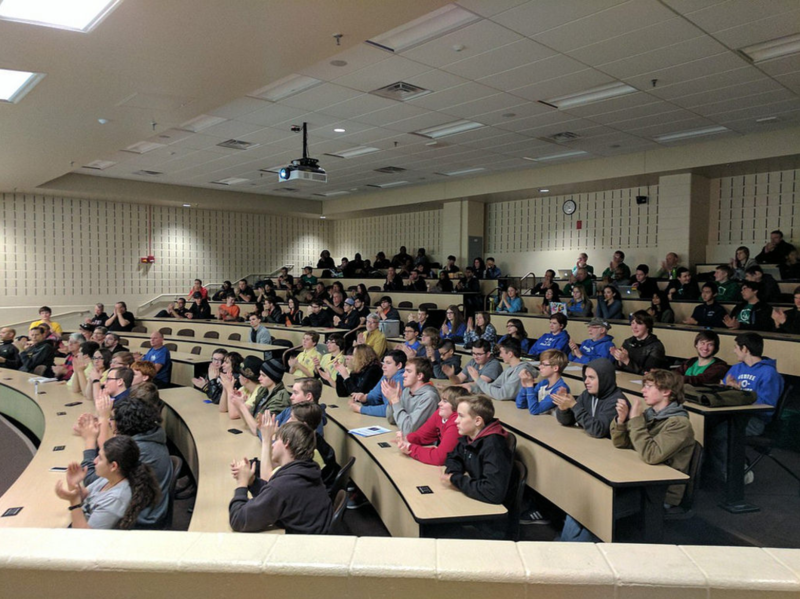 The FAMNM Robotics Forums is an annual event hosted on the U of M Campus for teams to come and build their FIRST® Robotics knowledge. The event features seminars on a wide range of topics, including mechanical design, strategy, team organization, volunteering, FIRST® alumni opportunities, and more! FAMNM is always looking for feedback from teams on what seminars they’d like to see!